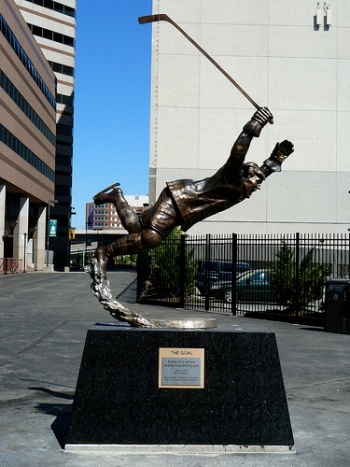 Life-size bronze sculpture depicting Bobby Orr's the 'Goal' winning 1970 NHL Stanley Cup. Sculpted by Harry Weber. Reproduced by VMDSculpting.